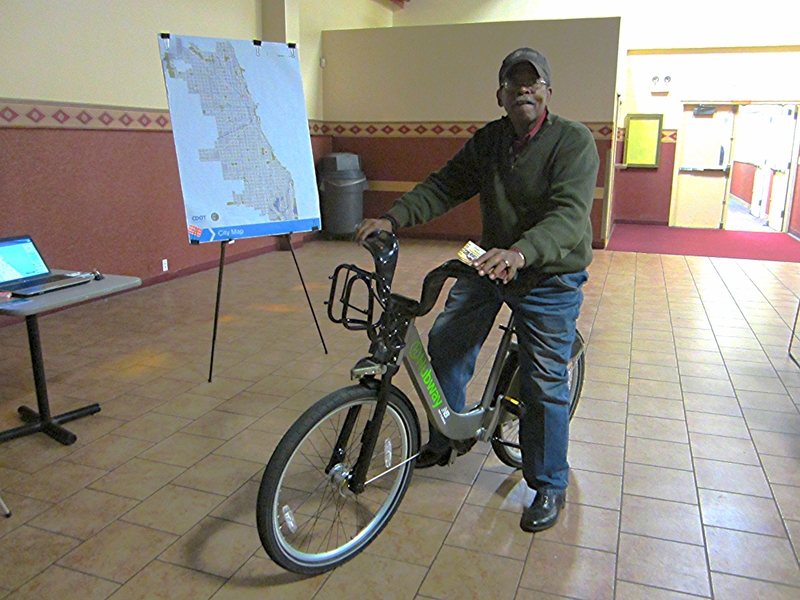 Chicago’s upcoming bike-sharing program, slated to launch next spring and grow to 4,000 vehicles by the end of the year, is a great opportunity to broaden the demographics of cycling here to include more residents from underserved neighborhoods and communities of color. By providing cycles for short-term use, to be ridden from one automated rental kiosk to another, it will function as a second public transportation system and remove some of the major obstacles to cycling: the need to purchase, store and maintain a bike, plus fear of theft. The cycles will be heavy but comfortable three-speeds with upright bars, wide saddles, generator lights, a front carrying rack and flat-proof tires, plus fenders and chain guards to keep your clothes clean. The city is bankrolling the initial setup costs with $22 million in federal transportation grants plus a $5.5 million local match; operating expenses are expected to be covered by user fees, corporate partners, naming rights and/or advertising. Chicagoans will be able to purchase a daily pass for $7 or a yearly membership for $75 (a CTA monthly pass is $86), entitling them to an unlimited number of free rides of thirty minutes or less. To encourage turnover, a fee will be charged for the next half hour and rates rise steeply after that. You’ll need a credit card to buy a membership, and if you don’t return the bike your card will be charged $1,200. Kubly has a couple of strategies to make certain the new system benefits all Chicagoans. Before the launch CDOT will run an internship program where inner-city youth from bike-education centers like Humboldt Park’s West Town Bikes and Blackstone Bicycle Works in Woodlawn will learn how to assemble the kiosks and maintain the bikes. “This will help ensure our workforce reflects the diversity of the city and help create a sense of ownership,” Kubly says. 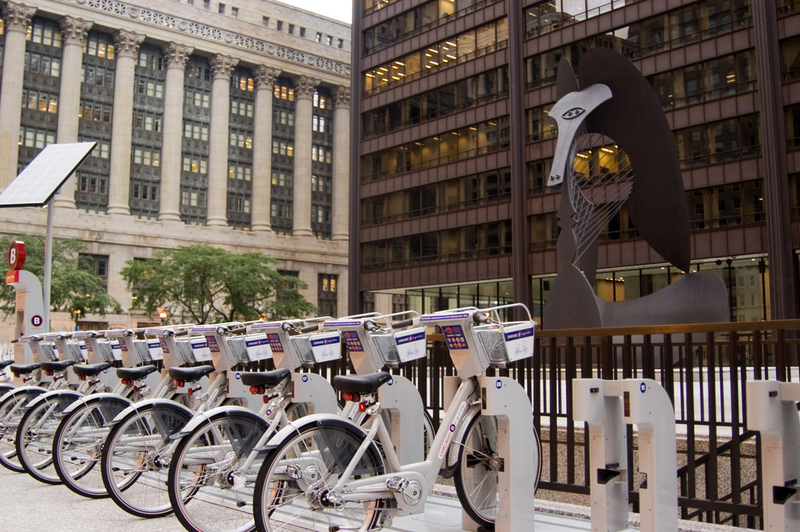 The bike-share program will eventually create about 150 full-time, permanent jobs. “The big challenge is how do we handle liability for folks who are unbanked,” Kubly adds. In D.C. this issue was addressed via the Bank on D.C. initiative, in which low-income residents received a free Capital Bikeshare membership after completing a financial literacy course. Liability for the membership was shared by the individual, the city, a bank and Alta Bicycle Share, the Portland, Oregon-based company that runs the D.C. system and will be operating Chicago’s as well. He’s currently looking into partnering with community organizations and churches here to provide bike share access for people who don’t have credit cards. CDOT recently held community input meetings around the city to introduce the new system and solicit suggestions for kiosk locations. 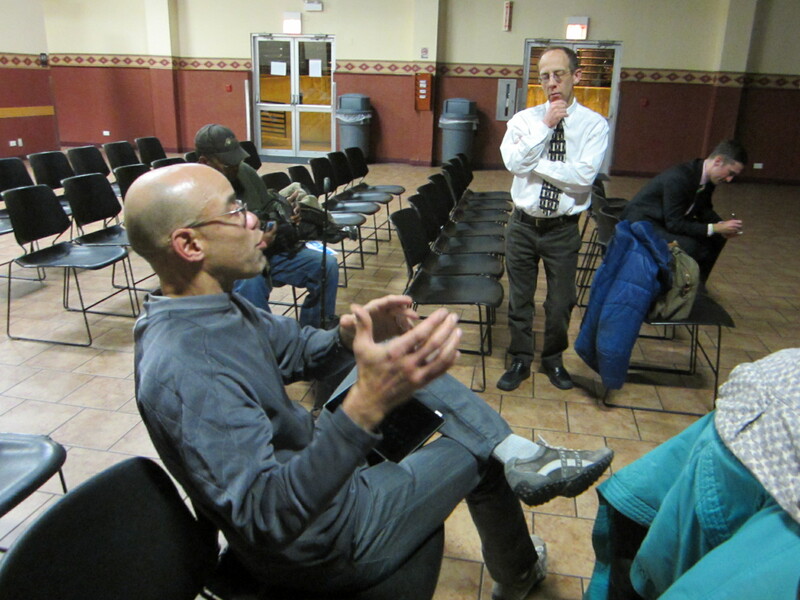 I attended the final session last week at the Charles Hayes Center, 4859 South Wabash in Bronzeville. As CDOT and Alta staff outlined various aspects of bike share, the handful of locals present stressed the importance of making sure the program is implemented fairly. Play Streets in Little Village The Southwest Side community hosts one of the many Play Streets events being held throughout the city this fall, block parties that provide children and adults with supervised spaces for sports, games and dancing. Thursday, November 15, 5pm-8pm, Gary School, 3000 South Hamlin, (312)427-3325, tinyurl.com/playstreetschi; free. Transportation Symposium & Business Exchange Reps from the Regional Transportation Authority, CTA, Metra, Pace, Illinois Tollway Authority, and Illinois Department of Transportation provide info on doing business with their agencies. Thursday, November 15, 9:45am-5:30pm, Chicago Hilton and Towers, 720 South Michigan, (312)454-6100, mgpgevents.com; $75 pre-registered. Lincoln Square Kidical Mass This kid-friendly bike ride starts by circling Wells Park and then taking off on a fun cruise around the neighborhood on quiet residential streets. Saturday, November 17, 10:30am, Wells Park gazebo, Western and Montrose avenues, chicagokidicalmass.org; free. Tour of Lincoln Square Learn about the history of this North Side neighborhood, formerly a farming community for celery and pickles and now home to the Old Town School of Folk Music, on this guided bike tour by architecture buff Lee Diamond. Saturday, November 17, River Park, 5100 North Francisco, (773)255-6347, chicagovelo.com, 11am-3pm; $9. Play Streets in Chicago Lawn The Southwest Side community hosts one of the many Play Streets events being held throughout the city this fall, block parties that provide children and adults with supervised spaces for sports, games and dancing. Sunday, November 18, 1pm-4pm, Eberhart School, 3400 West 65th Place (312)427-3325, tinyurl.com/playstreetschi; free. Friends of the Major Taylor Trail meeting Members will discuss trail conditions and plan next year’s events to promote this Southwest Side bike path, named for the African-American cycling champ. Tuesday, November 20, Ridge Park fieldhouse, 9625 South Longwood, (312)520-1641, majortaylortrail.org, 7pm-8:30pm; free.